MAXIM® believes in giving back. The new MAXIM® CHARITY SERIES was developed to support organizations that align with some of our core values. 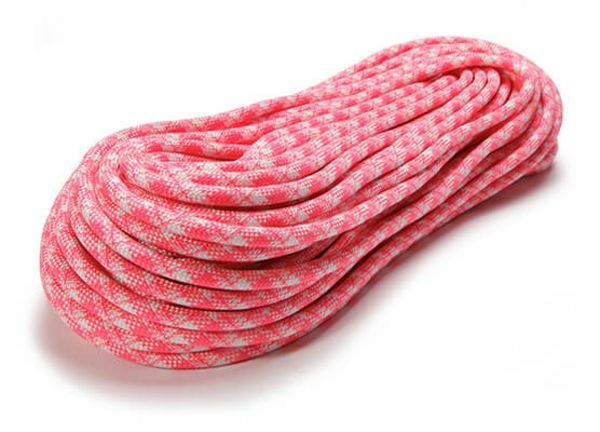 A portion of the proceeds from the sales of these ropes will go directly to the Access Fund, the Dana-Farber Cancer Institute® and the climbing program at Scouts BSA®. MAXIM cares! Whether it be to further the sport of recreational climbing, support youth development through character building with educational and outdoor activities or to help support the fight against cancer, we care! The new MAXIM CHARITY SERIES was developed to partner with organizations that match some of our core values. That is why we support the Access Fund, the Dana-Farber Cancer Institute® and the climbing program at Scouts BSA® with our MAXIM® CHARITY SERIES. All of our Charity Series ropes come with the quality and durability that you would expect from MAXIM's Apex series. Apex is the workhorse of the MAXIM product line. Designed for top rope, big wall, trad climbing or for working projects and developing routes. In addition, Apex is an excellent rope for challenge courses as well asfall protection for safety personnel. It consistently performs across many climbing conditions and still delivers reliable clips. The MAXIM Charity ropes provide optimum life safety while permitting the climber to push past his or her personal limits. All Apex ropes feature an Endura DRY core. Select models are 2x-DRY, which adds an Endura DRY cover for the ultimate dry protection.